SHANDONG, China, Apr 11, 2017 (SEND2PRESS NEWSWIRE) -- "Made in China" now has become a clangorous slogan from the orient. China has always been striving to upgrade "Made in China" to "Create in China" by virtue of nationwide effort, says MORN Technology Co., Ltd.
And 2017 will be an extraordinary period for fiber laser cutting machine importing, in which lots of beneficial foreign trading and tax policies have been issued by China to encourage and smooth the way of machinery exporting trade. This is a giant progress and an unprecedented year for Chinese fiber laser cutter manufacturing industries. Things have completely changed that Chinese machines were no longer bargains or toys with little competitiveness in global market where big famous brands take a great share for a long time with their excellent but expensive production and operation. If you have searched some of them, you would find more and more purchasers around the world imported a range of machines from China -- from simple lifting platforms and loading dock ramps, to more complex fiber laser machines, and similar commercial equipment. 1. Designed with stylish appearance, beautiful modeling and easy operation features. 2. Wide range of application: stainless steel, carbon steel, galvanized steel, iron panel, copper panel, aluminum, gold, silver, etc. 3. The machine lathe has been polished and milled for hundreds of times to reach higher precision; the machine weighs more than 4000KG, strong and never deformed. 4. Major components of the machine all come from world's famous brands, such as Germany IPG, China Raycus, Japan Fuji, Taiwan Hiwin, CrpCut, etc. 5. Suitable for mass production, saving money, time and materials. 6. High cutting speed and perfect cutting edge with smooth plane and exquisite texture. 7. Japanese servo motors guarantee the cutting precision. 8. Professional and easy-to-use CYPCUT fiber cutting control system has full functions. 9. The DSP hand controller simplified the machine's operation. 10. Every MORN fiber laser cutting machine is armed with convenient feeding device, reducing your workloads. With Raycus fiber laser being adopted, MORN promises the machine can work for 100,000 hours. The warranty of whole machine lasts for 3 years with fewer materials consuming and zero regular maintenance. As China has taken effective measures which involves export rebates policy, technological innovation, logistics and transportation, foreign trade treaties signed with other countries and so forth, to stimulate international trade and communication, Chinese machines will be promising and welcomed. Acting as one of the major branches of machinery equipment, fiber laser cutting machines have ushered a prosperous year in 2017. Greater market potential means more responsibility for our country and fiber laser cutting machine manufacturers who have invested a large amount of time and money to improve the industry's development and the machines' core techniques. In addition, thanks to the so much support from regular clients and prospects that both Chinese machines and "made in China" possess better outlets and impression in global market. At this moment, over a quarter of 2017 has gone by and let's see what surprises the last three quarters will bring to us. To learn more visit http://www.morntech.com/. 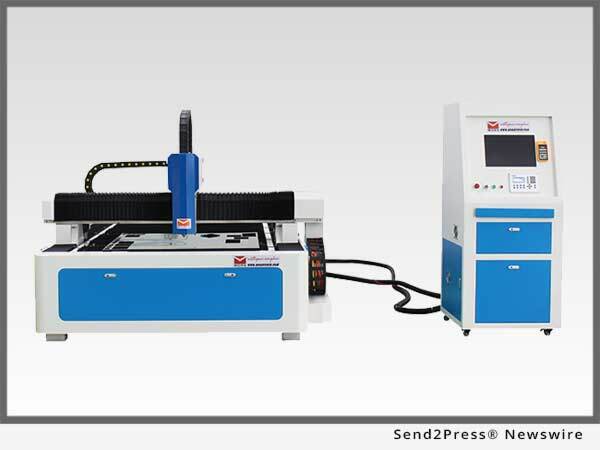 MORN series Fiber laser cutting machines, Co2 laser engraving and cutting machines, and CNC routers are widely used in many industries. Such as advertisement, gift, shoes, toys, computers, garments, model cutting, building, packaging, paper industry and more.